Blog Action Day ’09: How is global warming affecting the planet? Today is Blog Action Day! We want to take part to it by analysing the causes of global warming, as the more we know about it, the more we get aware of its risks and be able to act against it. Global warming is one of today’s major plagues of the Earth planet and its inhabitants. But what is global warming? 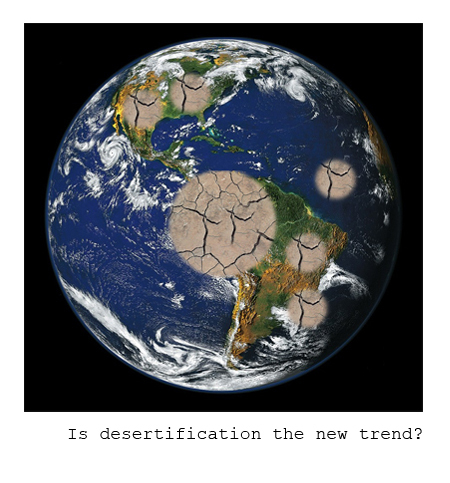 So, should we prevent global warming or should we use our resources and skills to adapt to its effects? There is a current debate about this that reveals two different approaches. The first, mitigation, is about limiting carbon dioxide (CO2) emissions in the atmosphere mostly by reducing human polluting activities. An example for this is the Kyoto Protocol. The second approach, adaptation, is about diminish society’s weakness to the consequences of global warming. With the term ‘global warming’ we refer to the long-term set of changes affecting the planet’s climate, that is the overall increasing of the Earth’s temperature. As all living species depend on climate trends, global warming is a phenomenon affecting everybody. Global warming directly influences the climate trends, so that it determines the rise in the number of extreme weather events such as hurricanes, floods, heat waves and droughts. Besides, the natural habitats, the biodiversity, and the overall quality of life are at risk. It is therefore important to understand the risky situation characterising out planet today. To do that, let’s now make a list of the different effects of global warming. According to recent studies, only in the last 30 years the human activities have destroyed almost a third of the forests. As a matter of fact, about 10% of the planet’s land area is still intact forest, the boreal forest and the tropical rainforest. The forest loss directly influence the loss of biodiversity. The planet Earth is characterised by a wide diversity of living species, the biodiversity. Therefore, the Earth has an inestimable value, recognized by all human cultures around the world. Natural biodiversity has many implications and has to be protected. The currently estimated extinction rate of vegetal and animal species is about 1,000 times faster than before the human presence and it is expected to increase around 10,000 times faster in the next 40 years. Many scientists believe the planet Earth is experiencing the first mass extinction since the dinosaurs’ death about 65 million years ago. The last IUCN’s World Conservation Congress in Barcelona has released a Red List of the living species at risk of extinction. In particular, the List speaks out that about 40% of 44,838 species catalogued are at risk, with over 3,000 of them classified as “critically endangered”, that is they are highly likely to dying out. Another effect of global warming is the glaciers melted, has revealed by scientists. In the past this process was normal, but today glaciers are melting so fast that they are going to vanish from the earth forever. In fact, the increase in the world temperature prevents the falling snow to replace the amount of melting ice that normally melts. As a direct consequence of glaciers melting is the increase in the sea levels. As a consequence of this, the sea level is expected to rise of 50 centimetres by 2100. Such an event would threaten areas such as Asia, where million of people live very close to rivers and flood plains. The growth of world population in addition to the increase in the temperature levels, the demand of water is rising as well as the amount of desert areas. The World Bank has revealed that today 80 countries suffer from water shortages that threaten the quality of life. Besides, about 2 billion people have no access to clean water. Because of global warming and mass tourism many natural areas, considered as ‘real wonders, are disappearing. The biodiversity is dying out. So the most popular vacation areas, such as the Carribean coral reefs or famous ski resorts, can no longer be granted. The changes the precipitation and temperature can damage food crops, disrupting food production in some parts of the world the as well as contribute to the rise in the amount of insects that bring and spread dangerous illnesses. In the last years, the quality of life has got worse: the world population increases daily as well as the amount of necessary amount of natural resources. Il 20% of the population consumes more than the 80% of the available resources. If the remaining 80% of population had the same consumption opportunities, 5 planets Earth would not be enough to satisfy everybody’s needs. Increasing the consumes, the man produce also a huge quantity of waste, damaging the ecosystem and seriously menacing the natural environment and biodiversity. The effects of global warming are more and more spreading all over and are going to worsen the more we wait to take action and change our life-style. Let’s take action today! Valcucine is doing its part in contrasting global warming reducing the enormous debt with the environment that Man has accumulated to the detriment of our planet. In fact, Valcucine has implemented some reforestation projects, so that the trees planted can transform the carbon dioxide created by industrial production into oxygen and so that the quantity of wood used to make furniture can be replaced.